NEIGHBOURHOOD PLAN: The final steps towards the publication of a Neighbourhood Plan for Hailsham are coming ever closer, following the approval of the final draft of the Hailsham Neighbourhood Plan by members at the latest Town Council meeting held last Wednesday [27 March]. 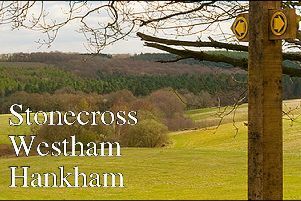 The Hailsham Neighbourhood Plan, written by a group made up of members from the community and from Hailsham Town Council, proposes a number of policies relating to what infrastructure and development is needed to sustain future housing growth in the Hailsham area, taking into consideration local environment and sustainability, design, housing type, traffic and transport, economy, services and facilities. As a result of the Town Council voting in favour of the final Plan draft, the document has now been submitted to Wealden District Council for the Regulation 16 process to begin (to collect any comments and representations from members of the public), and will be followed by an inspection of an independent planning inspector in the summer with a public referendum to be held in the autumn of this year. “It’s been a very long process and there has been a lot of hard work involved to get this far with the development of a neighbourhood plan for our town,” said Town Clerk John Harrison. “Despite the delays to progress of late, were pleased that we can now move things forward with the next stages of the Plan, following the approval of the final draft last week by Full Council.” “I’d like to take this opportunity to thank members of the Committee, in addition to the appointed consultants -Troy Planning Ltd – for their hard work from the outset. Thanks must also go to the members of the public who attended our various consultation meetings and engagement events, having taken the time to share their views and give us vital feedback.” To find out more about the Hailsham Neighbourhood Plan, its progress and latest announcements, visit www.hailshamneighbourhoodplan.co.uk.